The Trump White House has proposed new regulations that would force immigrant families to make an impossible choice between meeting their children’s basic needs and obtaining permanent legal status in the United States. How? By changing the scope of the “public charge” rule. Federal immigration officials apply a “public charge” test to immigrants who seek legal permanent residency (a green card) in the country. In the longstanding definition, a person constitutes a public charge when primarily dependent on public assistance (cash assistance or Medicaid long-term care) to live. In January 2018, the Trump Administration expanded the definition and application of the public charge test at U.S. consulates so that the use of a wide range of benefits by people seeking to reside in the U.S. as lawful permanent residents, or by members of their family, may result in a denial. The administration is also seeking to make a similar rule change that would apply to immigrants seeking lawful permanent status within the U.S. These changes would make it easier to deny legal residency to individuals who have used any one of many forms of public assistance such as food, health care, or shelter. The administration’s effort to expand the definition and application of the public charge test effectively withholds essential public services from many of the 1 in 4 Washington children growing up in immigrant families. The result: poorer health, more hunger and greater inequity for children and families, particularly for immigrant communities of color. That’s wrong. Every family should be free to use the essential services they are legally entitled to and need to live. It is important to note that at present, nothing has changed for immigrants applying for lawful permanent resident status within the U.S.
For more information on the proposed changes, read our fact sheet, also available in Spanish. Join our efforts. Share your own family’s experience with the essential services Trump would deny Washington’s kids. 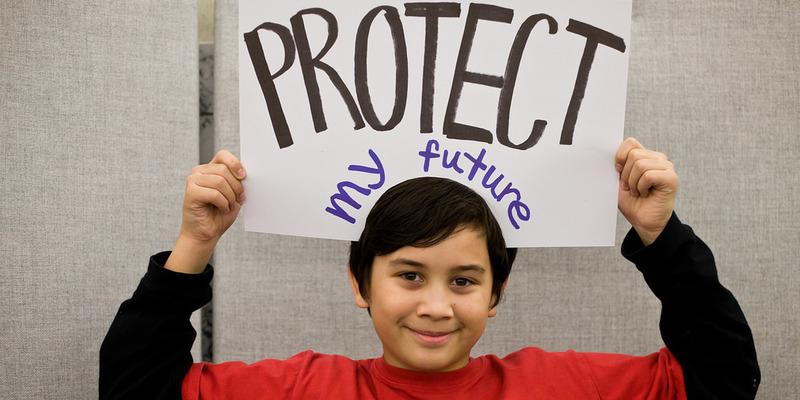 Sign up for e-mails from the Protecting Immigrant Families - Washington State campaign. Finally, get a list of free or low-cost legal resources that can help those who may be subject to the proposed rule. Protecting Immigrant Families - Washington State is a broad coalition of more than 30 nonprofit, public, and private sector organizations working to address the impact of potential changes to the public charge rule. It includes Children’s Alliance, OneAmerica, Northwest Immigrant Rights Project, Northwest Health Law Advocates, Northwest Harvest, the Washington State Hospital Association, and many others. We are part of the national Protecting Immigrant Families, Advancing Our Future Campaign, co-chaired by the Center for Law and Social Policy and the National Immigration Law Center.